Bob Pelkey picked me up about three in the morning as we started a three birding trip up to the Florida Panhandle. I've wanted to bird the area for a long time, but logistics had not worked-out till Bob asked if I was interested in visiting St Marks. We expected to visit St Marks, Florida Caverns State Park and Apalachicola National Forest. January and February are the months to visit to search for wintering birds. 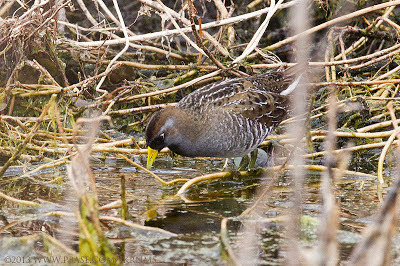 Winter wrens, golden-crowned kinglets, brown creepers, horned lark, sprague's pipits American black duck snow geese white-faced ibis and rusty blackbirds are some of the wintering species targeted. 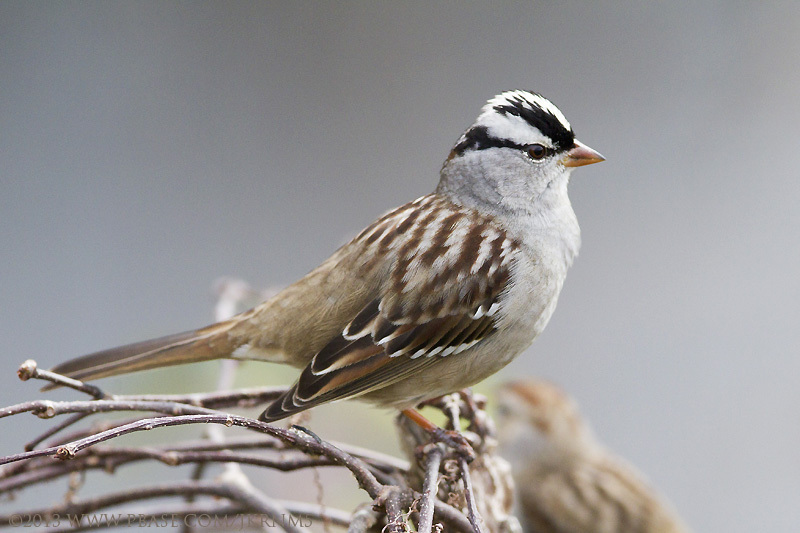 We also have to leave south Florida to see most of the wintering sparrow species. Our first stop was soon after dawn was in Gainesville. We visited the LaChua Trail in Payne's Prairie and a section of the nearby Gainesville-Hawthorne Trail. A flock of American Goldfinches greeted us as we entered the G-H Trail. We had targeted the Fox Sparrow which has been seen here lately. No doubt it was the same bird that wintered here last year. It wasn't present on our visit, but we did add Chipping Sparrow, Tufted Titmouse, Blue-headed Vireo, House Wren, Carolina Chickadee, Ruby-crowned Kinglet and Pileated Woodpecker. We moved onto the LaChua Trail were we targeted sparrows and the reported Grove-billed Ani. In previous visits I had added Harris's Sparrow,Whooping Crane and Snow Geese. This year we a good looks at White-crowned Sparrow, White-throated Sparrow, Sora, American Kestrel, Blue-winged Teal, Green-winged Teal, Mottled Duck, Pied-billed Grebe, Anhinga, Sandhill Cranes, American White Pelicans, Northern Harrier, Red-shouldered Hawk, House Wren, Sedge Wren, Glossy Ibis, White Ibis, American Coots, Common Gallinule, American and Fish Crows, American Bitterns, Bald Eagle, Lesser Yellowlegs, Yellow-rumped and Palm Warblers. Many very large gators were present but we missed the ani. Even though it had been seen earlier. By early afternoon we had to leave as we still had several hours of traveling to reach St Marks tonight. The weather reports for the panhandle showed a lot of rain in our way for this trip. We hoped for the best Sunday. With just a couple of hours left we made a stop at Bald Point State Park at Alligator Point, just west of St Marks. The weather was brisk, the tide was high, the water was choppy and fog obscured our vision out on the bay. Targets included sea ducks, loons and grebes. Mostly wanted to see if any red-throated loons were present. Our stop at Sunrise Beach access only produced Willets and the parking lot was better. Here we added Eastern Towhee, American Goldfinch, a pair of FOS Purple Martins, Tufted Titmice, Gray Catbirds, Northern Mockingbirds Pine and Yellow-rumped Warblers. But we found the fishing dock area at the end of the road more fruitful. Here we had a lone Common Loon, Horned Grebe, Red-breasted Mergansers, Bufflehead, Black Scoter and Lesser Scaup. A pair of Bonaparte's Gulls made an appearance along the usual gulls and terns. A pair of Clapper Rails were heard in the salt grass and a large concentration of Dunlin, Short-billed Dowitchers, Sanderlings, Western Sandpipers and Ruddy Turnstones were gathered out of the wind. No red-throated loon. This past weekend the City of Cape Coral conducted there popular Burrowing Owl Festival. The Burrowing Owl is city's official bird and the citizens are dedicated to supporting these birds of prey. It is estimated that a thousand pairs of owls nest in Cape Coral and their burrows are closely monitored. Good locations to see the owls are at the ball fields at Pelican Boulevard, which also host a colony of Monk Parakeets and at the Cape Coral Public Library. They can be found throughout the city as well as other locations in within Lee County. I had following a moving colony near Alico Road in San Carlos Park over several years till this season. Seems they have relocated their digs. The Mangrove Cuckoo is a coveted species to locate in South Florida and is just now becoming a species of interest by researchers. Much needs to be learned on behavior, breeding, seasonal migrations etc. on this species. There recent presence in the mangroves at Bunche Beach Preserve, in Lee County this winter has been a pleasant surprise. 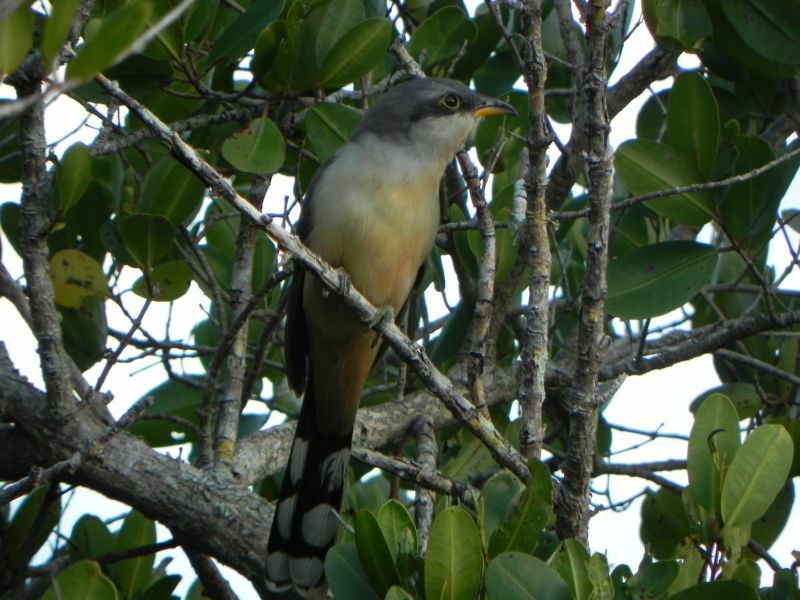 Usually we find the birds locally, that being Ding Darling WMR on Sanibel Island when vocalization begins in May. There has been an assumption that we only see them here through Spring and Summer, before they return to the Caribbean. Hopefully this pair of birds will stick around. The photo was taken by Ruth Parks, whose party was able to see and hear two cuckoos. I have been there twice this week to look for it, but only heard a brief croaking at the spot where a party of birders, visiting from Minnesota, had just seen one. These birders were having a successful Florida birding trip with finding Nandays in Ft Myers and LaSarge Flycatcher and Western Spinellis in Miami. Please note that recordings are discouraged to avoid stressing these birds. It is tempting and I have witnessed their use at Bunche, but the calls could drive them out of the area. Bunche Beach is a great location for birding for shorebirds and is an important rest stop for migrants. 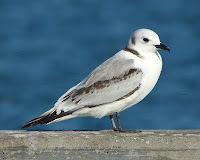 Come each winter we get a handfull of a few interesting birds that stop here instead of their normal wintering grounds. We have a lone Says Phoebe that has wintered in the same pasture in Astutle, in central Florida for the past six seasons. We'll get a scattering of Vermilion Flycatchers, Scissor-tailed Flycatchers and Western Kingbirds around the state. A few Swanson's Hawks too. A pair of Caisson's Kingbirds, a Tropical Kingbird and a lone Gray Kingbird are wintering at STA5, south of Clewiston. And near Homestead we have we have a Lesser Nighthawks, Brown-crested Flycatcher, Ash-throated Flycatcher, a few Least Flycatchers, Tropical Kingbird, Western Kingbirds and Vermilion Kingbirds. On Friday I headed out on to Lucky Hammock to search for them. But on Thursday my daughter and I did twitch after a pair of Black-legged Kittiwakes in Tampa Bay. These are very rare in our state and being so close to ft Myers we had to take shot at finding them ourselves. I started the day with birding at Six-Mile Cypress Preserve with the idea of locating a Red-crowned Kinglet or a Black-throated Green Warbler. I did locate the warbler and lots of Palm Warblers and Yellow-rumped Warblers, a couple of nice Pileated Woodpeckers, a Blue-headed Vireo and the other usual suspects. After my daughter had wrapped up her work at the Humane Society we headed up to The Skyline Bridge at Tampa Bay, were the Kittiwakes have seen found at the north end of the South Fishing Pier. Upon our arrival a couple of photographs put us onto one of the Black-legged Kittiwakes, LIFER!!. Common Loons were numerous as well as Laughing Gulls, Ruddy Turnstones, Brown Pelicans, plus Ring-billed Gulls, Herring Gulls, Cormorants, Snowy Egrets and Rock Pigeons. Afterwards we crossed the bridge and checked the ponds at Terra Verdi were we added Redheads (not as many as I had expected), Northern Shovelers, a few Lesser Scaups, Ring-necked Ducks, American Coots, Common Gallinule and a female Canvasback, a female Ruddy Duck and a lone Red-breasted Merganser. On our way home we stopped at the Celery Fields just before dark. 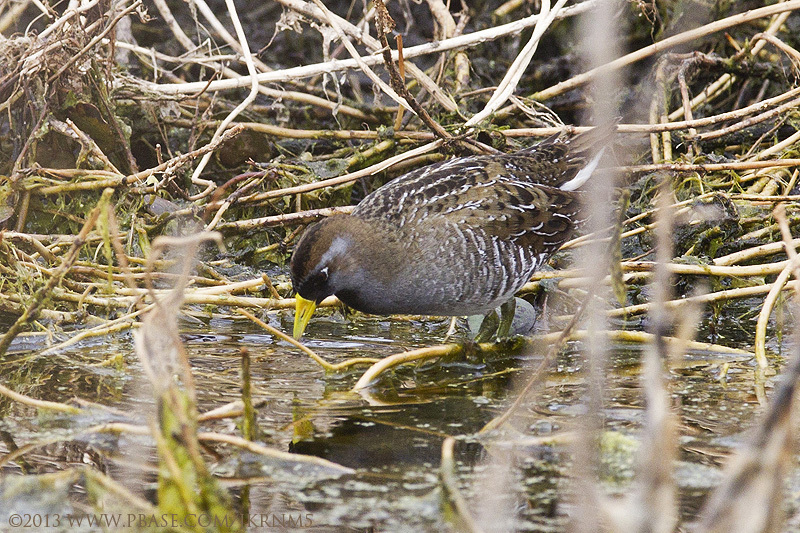 Here we added an American Bittern, a pair of Black-crowned Nigh-herons, Blue-wing Teal, Common Gallinule, tons of Starlings. Had hoped for a sora or king rail, but we did see the Barn Owl as it left its roost at dusk. Friday morning I was on the road by four in the morning with the idea of arriving at the Everglades National Park before sunrise with idea of finding Lesser Nighthawks and Eastern Whip-poor-wills. Did arrive too late but did have some good birds at Lucky Hammock and The Annex. Here I did find lots of Gray Catbirds and Palm Warblers. But I also added an Ash-throated Flycatcher, a vocal Brown-crested Flycatcher, a Least Flycatcher, a Brown Thrasher, Great Crested Flycatcher, Savannah Sparrow, Grasshopper Sparrow, Northern harrier, Northern Parula, House Wrens, Eastern Meadowlarks, Common Yellowthroats, and a White-eyed Vireo. Before I moved on from The Annex I met a couple of fellas heading into the brush in search of Burmese Pythons as a part of the current Python Roundup sponsored by National Park Service. They were quite colorful and offered interesting stories on their captures including photos. They claim to have already caught several including a huge 12 foot female, which is destined to be used as a Judas snake. The Kendall Baptist Hospital campus is a popular spot to look for some of the more exotic species. Today I could only find a few Mitre Parakeets. Often find much large numbers and other parrot species as well. Was pretty quite today. I did see a family group of three Egyptian Geese that have taken up residence at the lake. Did spend some time investigating the neighborhood across from the hospital looking for Red-whiskered Bulbuls. After striking out here I decided it was time to head for home. It was a good trip. Hope to return soon.